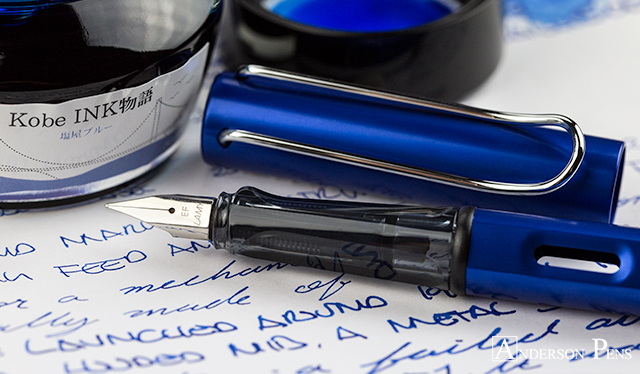 ThINK you’ve found the perfect blue ink? Then you must be using Kobe Shioya Blue. We just can’t get enough of Kobe inks. 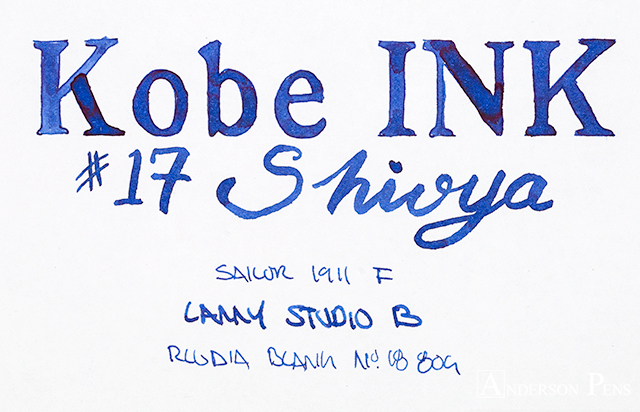 This week we take a look at #17 Shioya blue – a wonderful navy blue. 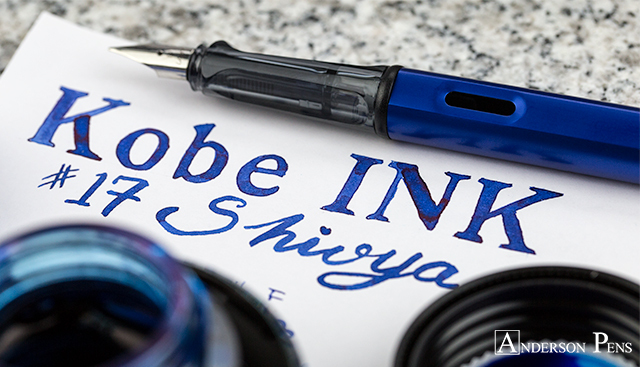 Kobe inks are produced by Sailor and come in the same 50ml glass bottle but without the plastic filling reservoir. This review was done with a Sailor 1911 F, Lamy Studio B, and on Rhodia blank No. 18 paper. 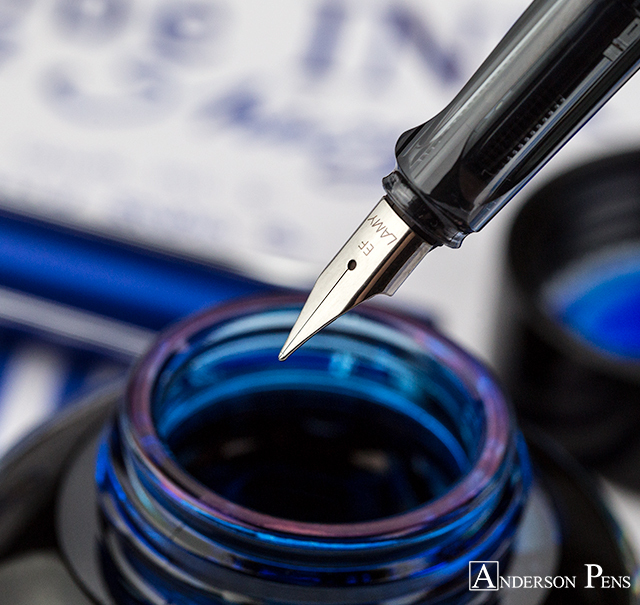 Shioya blue is a rather matter-of-fact color and has a similar appearance in both a fine and broad nib. 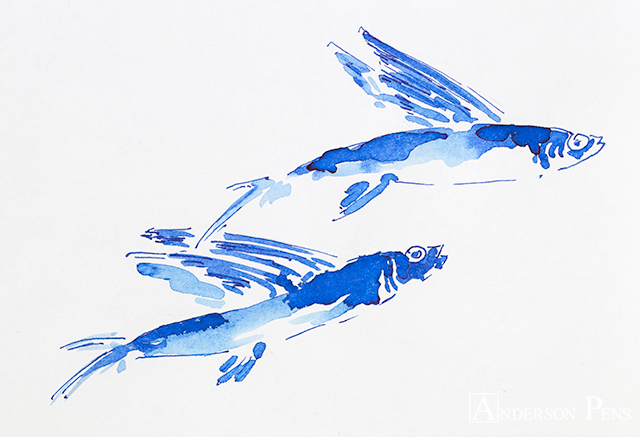 At its lightest, the ink is a bright, cobalt blue. This quickly shades to darker azure tones before finishing at a deep navy. One of the things that really sets the ink off is the bright, red sheen that is achievable in both a fine and broad nib on good quality paper. 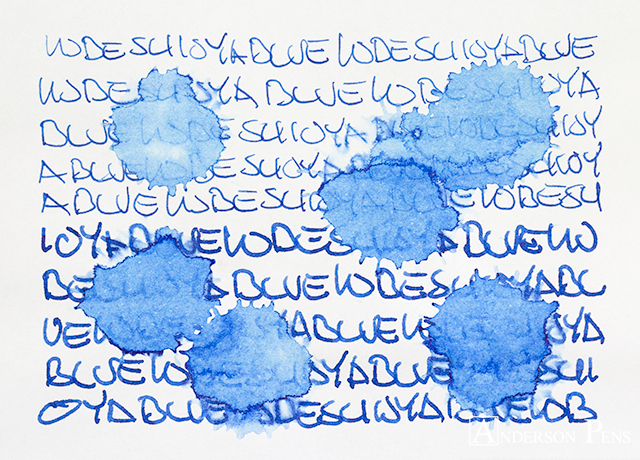 Shioya blue displays all the qualities you want in a workhorse ink. The flow is good with no feathering or bleedthrough on Rhodia paper. 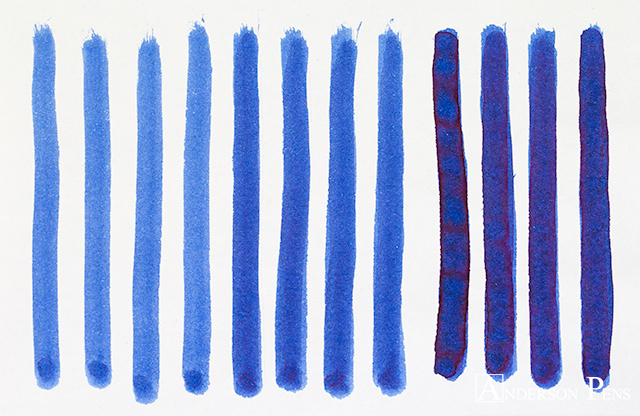 It’s a moderately saturated ink with good dry times at 15-25 seconds. While the ink doesn’t have much water resistance, clean up is very easy. 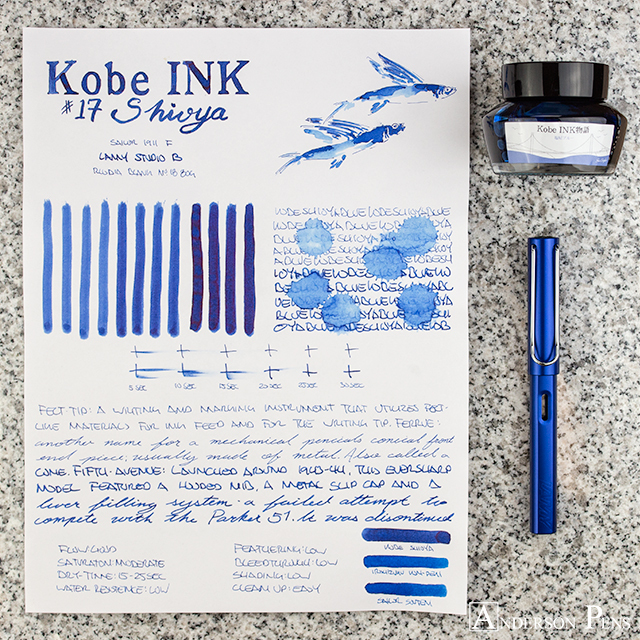 Kobe #17 is a no-nonsense kind of ink with a color to match. There is enough personality to convey that you’re not using a rollerball, but the color is professional and easy on the eyes. 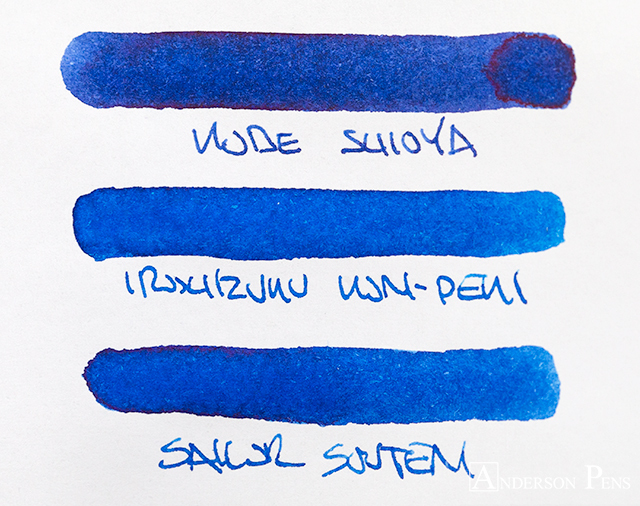 If you’ve been looking for an excellent ink for the work-place, then take a look at Shioya blue. This entry was posted in Ink, Ink Reviews, thINKthursday and tagged ink, ink review, Kobe, thINKthursday. Bookmark the permalink.